This week I created a simple Credit Card Checkout screen. 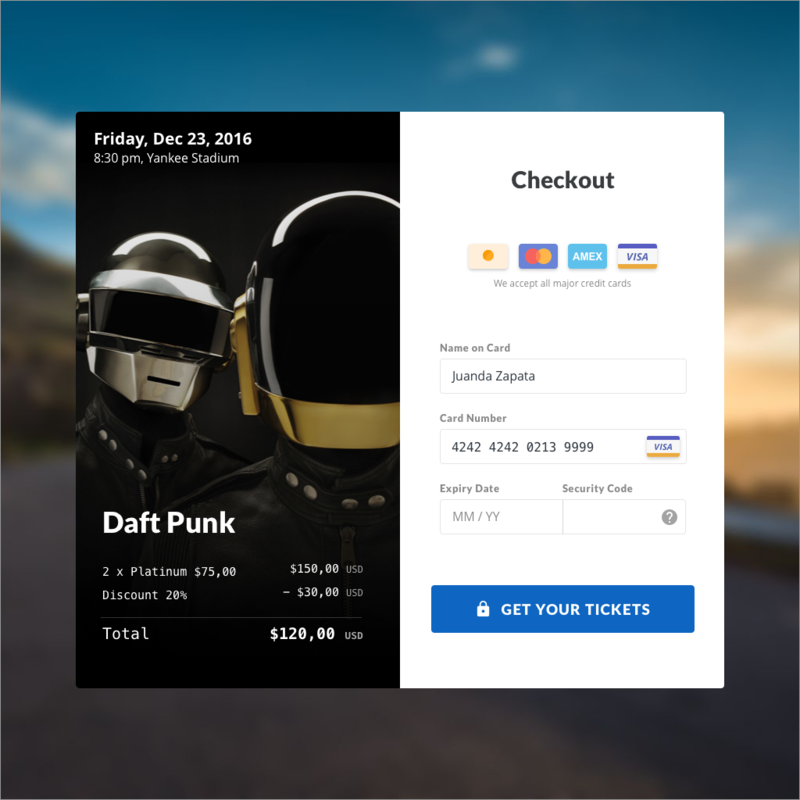 For this challenge I imagined a checkout widget for a Daft Punk concert trying to produce the minimum set of elements to complete the purchase action. I also decided to release the Sketch source file. Download it and use it in any way you want.